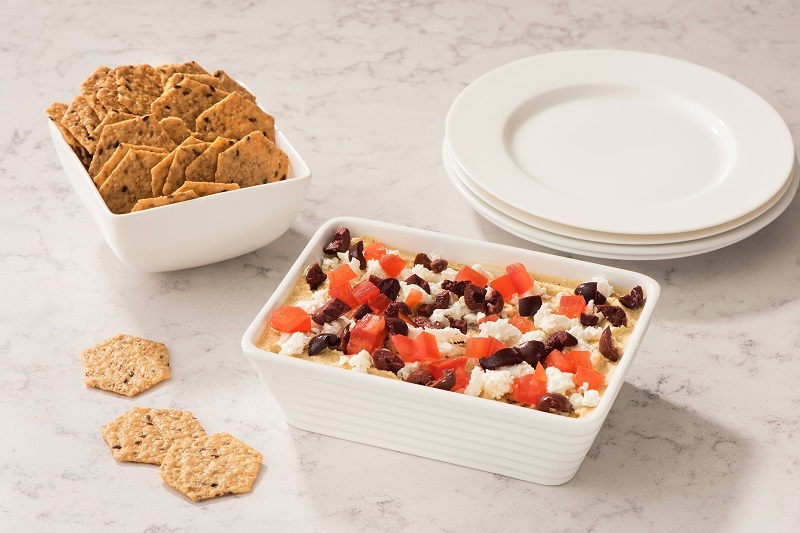 Spread hummus evenly into an 8×8 inch square baking dish. Drizzle with 2 tbsp. olive oil.